Cakes With Faces > For Sale > Cushions Series 2 – New! It’s new cushions week! We’ve been working hard on new designs and are excited to finally show you our second series of cute cushions! The original series of five cushions, launched in October, has been really popular so we’re expanding the range with four new designs. 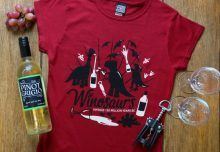 They’re all available now in the online shop. 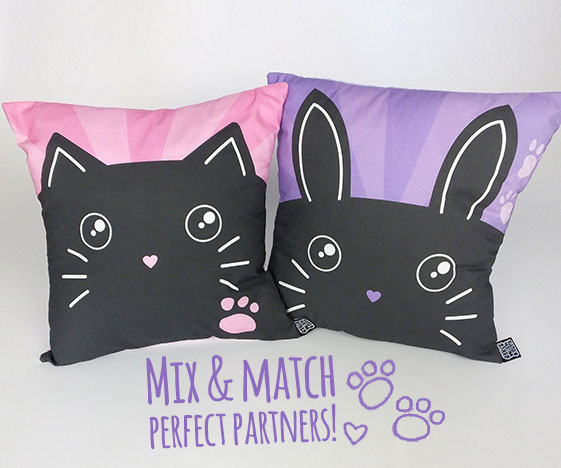 The perfect partner for our Neko Cat cushion – they look so cute together! Usagi is Japanese for bunny. 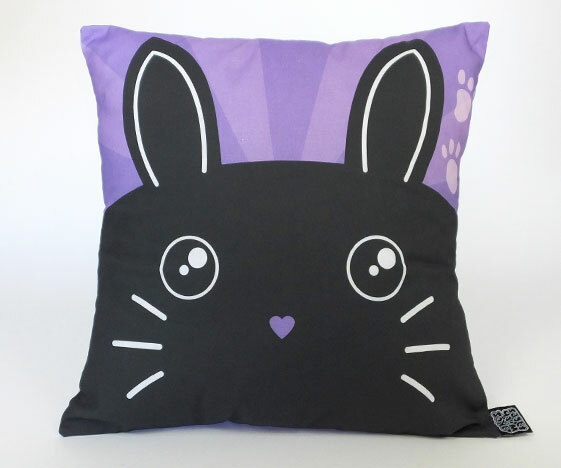 Kawaii rabbit cushion, with a tiny heart-shaped nose and whiskers, and two rabbit paw-prints on the side. Lilac / purple colour and sunburst background. 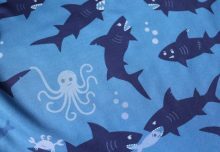 A cushion covered in ferocious sharks! Because sharks are awesome. They’re getting up to all kinds of antics, fighting over fish, attacking a boat, and there’s a cool octopus, cheeky crab, and lots of tiny fish. A fun design with lovely blue colours and a lot going on! 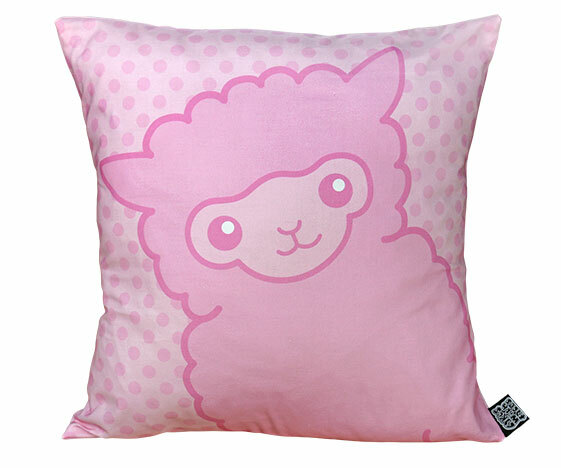 As you know, we love alpacas! 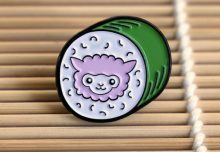 A kawaii alpaca on a polkadot background, in a lovely light blue colour. So cute! 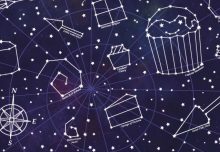 This one’s a little different from our usual designs – but what’s the point of always being the same? Silhouette birds on phone wires, and a mischievous cat. Our favourite part of this design is the gorgeous sunset colours. If you already have our cushions from the first series, mix and match with the new designs to create your own combinations. They look great together – why have boring pillows? Brighten up your room and make it as colourful as you are! We’d love to see pics of your cushions and where they live in their new homes. Send them to us on Facebook or Twitter!